Earnings from Easemytrip can be redeemed as vouchers or in Bank account. To avail discounts, users have to book flight tickets for two persons (domestic or international) for their preferred destination by applying coupon code: FLYCOUPLE. This offer is valid for limited period. All our new and existing customers can avail this offer. The offer is valid on domestic and international flight booking. The offer is valid for bookings made on EaseMyTrip's website, Mobile site, Android & iOS App. To avail discounts, users have to book flight tickets for their preferred UDAN route by applying coupon code: UDAN. This offer is valid on flights booked till 30th april 2019. The offer is only applicable on flight bookings for UDAN sectors . The offer is valid for bookings made on EaseMyTrip's website, Mobile site, Android & iOS App. Users will get Rs. 1000 Off on their very first transaction at EaseMyTrip through PayPal. 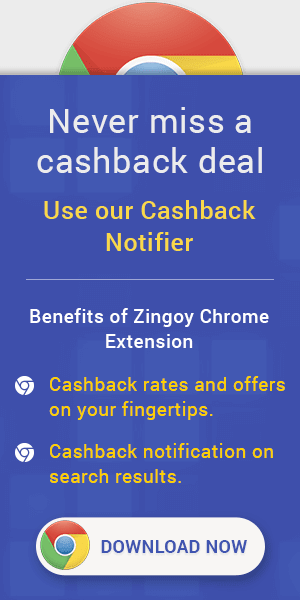 (Rs 400 will be instant discount provided by EaseMyTrip + Rs 600 Paypal cashback) Apply coupon code: EMTPAY to avail the offer. Minimum booking value to be eligible for offer is Rs. 2,500 and above. The offer is valid till 30th April 2019. The offer is valid for bookings made on EaseMyTrip's website, Mobile site. Upto Rs.20,000 instant Discount on International Flights. To avail the discount, user must enter Promo Code: INTEMT in the coupon field while booking their international flights. The offer is valid till 30th April, 2019. The offer is valid for bookings made on EaseMyTrip's website, Mobile site, Android & iOS App. To avail discounts, users have to book international flights for their preferred destination by applying coupon code: VIDESH. A minimum booking amount of Rs.5,000 is required for availing the offer. This offer is valid for limited period. All our new and existing customers can avail this offer. The sale is valid on international flight booking. The offer is valid for bookings made on EaseMyTrip's website, Mobile site, Android & iOS App. To avail discounts, users have to book flight tickets (domestic & international) for their preferred destination by applying coupon code: EASEFLY. This offer is valid for booking till 31st March for a travel period till 31st December, 2019. All our new and existing customers can avail this offer. The offer is valid for bookings made on EaseMyTrip's website, Mobile site, Android & iOS App. To avail discounts, users have to book flight tickets for three persons (domestic or international) for their preferred destination by applying coupon code: FLYFAMILY. This offer is valid for limited period. All our new and existing customers can avail this offer. The sale is valid on domestic and international flight booking. The offer is valid for bookings made on EaseMyTrip's website, Mobile site, Android & iOS App.